In 1973, two parallel stories began with the inception of PORCELANOSA and the creation of “REICHEN ET ROBERT” by Bernard Reich and Philippe Robert, which was restructured in 2004 to become “REICHEN & ROBERT & ASSOCIES”. Now, in 2017, their two stories converge in the stunning 3660m2 façade of the Docteur Pierre building in the French city of Nantes. The studio used materials by the PORCELANOSA Group from its brands Butech and KRION® by SYSTEMPOOL. One of the reasons for choosing KRION Solid Surface (1100 Snow White) on this façade was its great outdoor endurance in adverse weather conditions, enhanced by the Butech anchoring system to ensure unbeatable results over time. The striking effect of elements seamlessly pieced together, featuring bas-relief on the inside and outside, creates an impossibly vast finish. 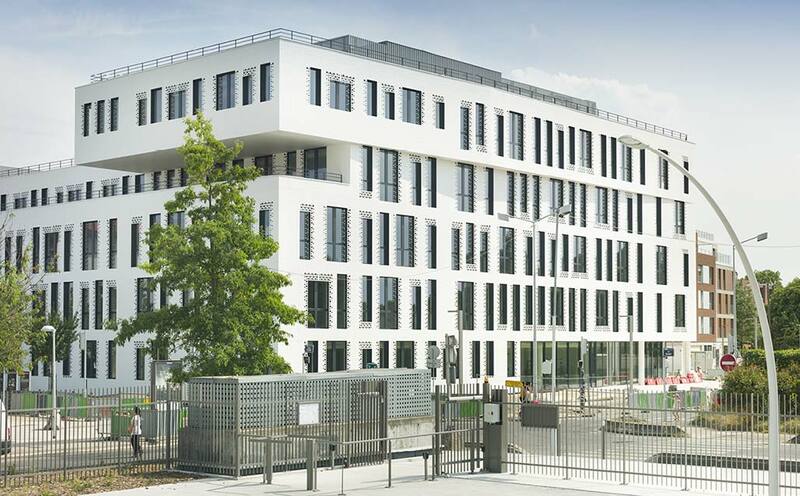 The ventilated façade system is the result of a close collaboration between Butech, KRION and the REICHEN & ROBERT & ASSOCIES studio, and has managed to meet the most demanding international building standards.